FRESNO, Calif. (KFSN) -- Another giant Amazon fulfillment center is coming to the Valley, bringing more than a thousand new jobs. Kern County announced Monday that Amazon would build the new facility near Meadows Field Airport north of Bakersfield. The county says that the property has closed escrow, permits have been approved, and construction is starting today. The building will be approximately two million square feet. That's more than double the size of the Amazon fulfillment center in Southwest Fresno. That 855,000 square foot warehouse opened in July and is packed with Amazon's latest technology including dozens of robots and more than 16 miles of conveyor belts. The Fresno fulfillment center will employ more than 1,500 people when it becomes fully operational in a year or two. 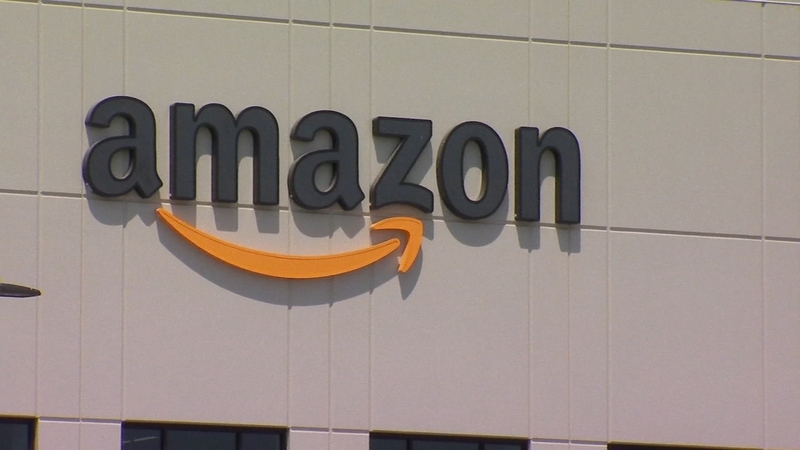 Earlier this year, Action News was given exclusive access to Amazon's other Valley fulfillment center located in Tracy. That facility first opened five years ago and was one of the first in the nation to extensively use robots to move products around the warehouse. Fresno is about to be touched by Amazon. The massive building is going up and this summer, hundreds of people will be working at the e-commerce giant's latest warehouse. The Central Valley has become a hot spot for fulfillment center development spurred by relatively inexpensive land and easy access to highways that lead to California's other metropolitan areas. Click here to read more stories about Amazon.